Becky October 28, 2017 October 28, 2017 No Comments on Oysters on the Ile d’Oléron? I am going to apologise now for my lackadaisical approach to accents, acute, grave or circumflex. I will try to remember them, but I couldn’t honestly say that I will try my best. Our next stop on our route south was a short drive away on the Ile d’Oléron, a large island well known for it’s oysters and other seafood. We drove across the long bridge that connects the island to the mainland and turned right, heading for the aire at Le Chateau d’Oléron. This isn’t really an aire, it was once a campsite and really still is a campsite, just one that is limited to motorhomes. It costs €11 for 24 hours including all services, toilets, showers and electricity. 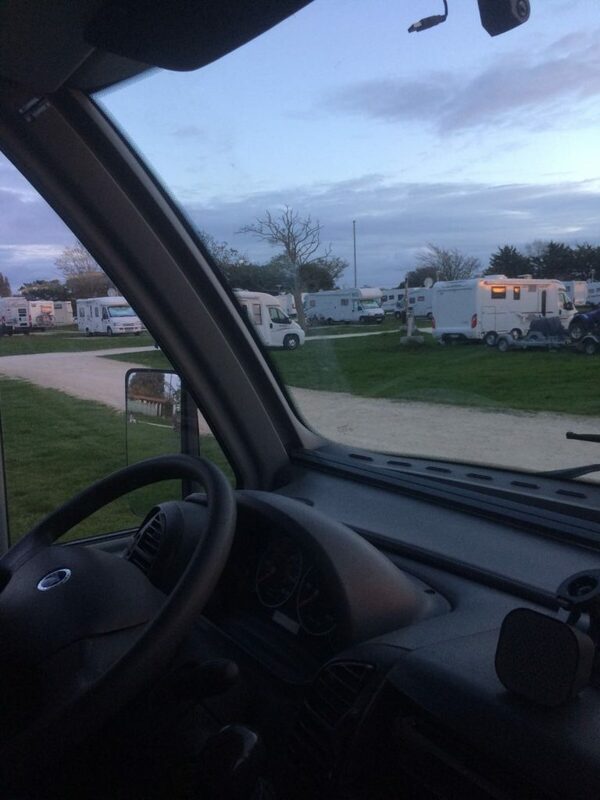 It was very busy, we estimated over 100 motorhomes scattered over the large site. There were no sat nav issues this time, we found the site easily enough and got settled in, waiting our turn to fill up with water and having the usual struggle to decide on a parking spot when there is too much choice. Once settled in we pootled off on our bikes to see what the area had to offer. Whether we just started from the wrong location or chose the wrong way to go I don’t know but we were feeling uninspired. Despite the busy campsite everything felt closed down and the landscape was devoted to oyster farming, which was interesting to a certain degree but not captivating. The rectangular lagoons for seed oysters covered the flat landscape creating mazes of pathways and roads to navigate. Small huts for artisans and cafes lined the streets but were empty and lifeless. The following morning we decided against staying and exploring other parts of the island in favour of moving elsewhere. We haven’t done justice to the area but couldn’t muster the enthusiasm to stay. I didn’t even get any oysters!